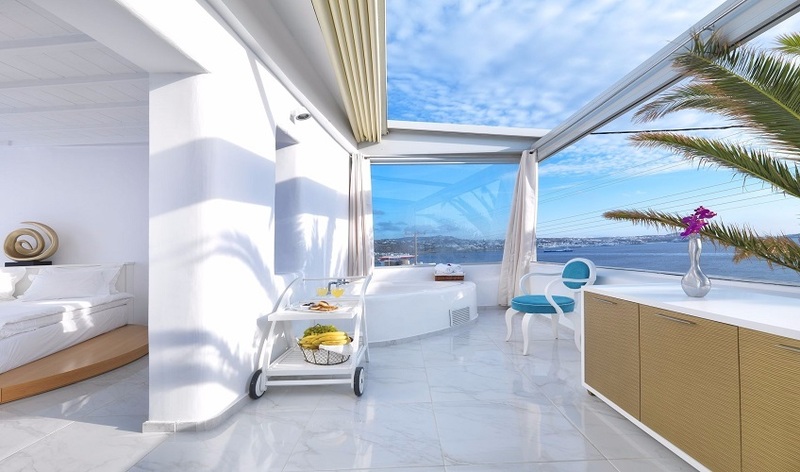 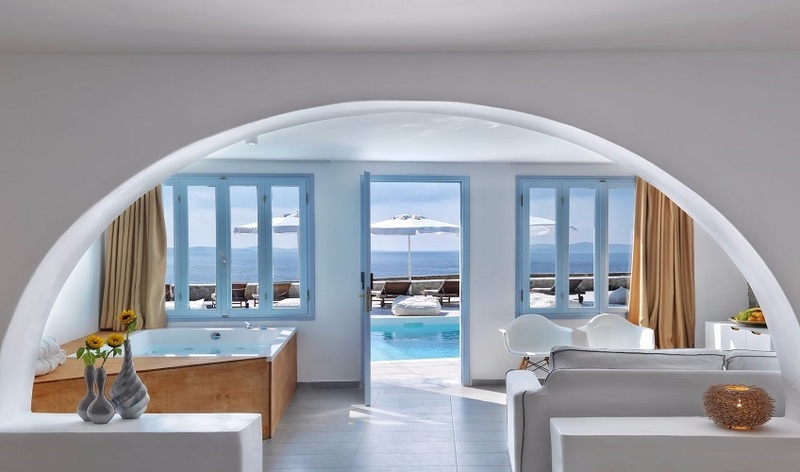 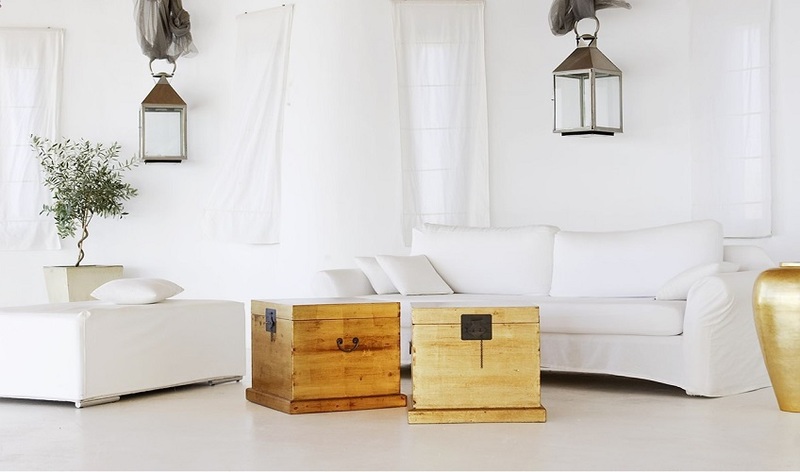 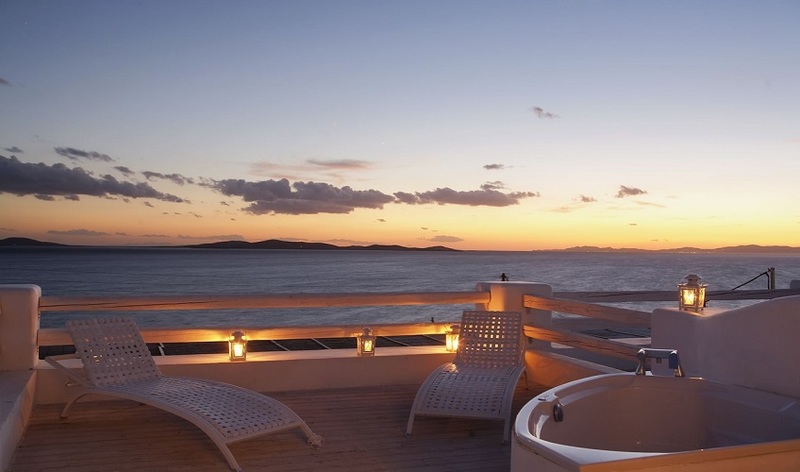 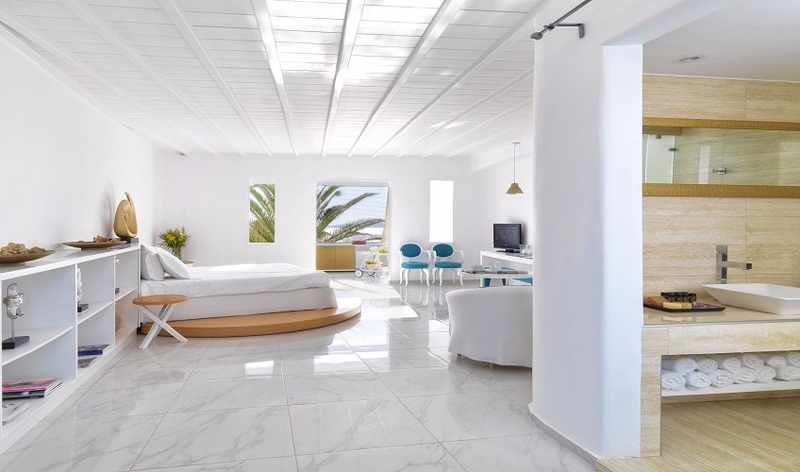 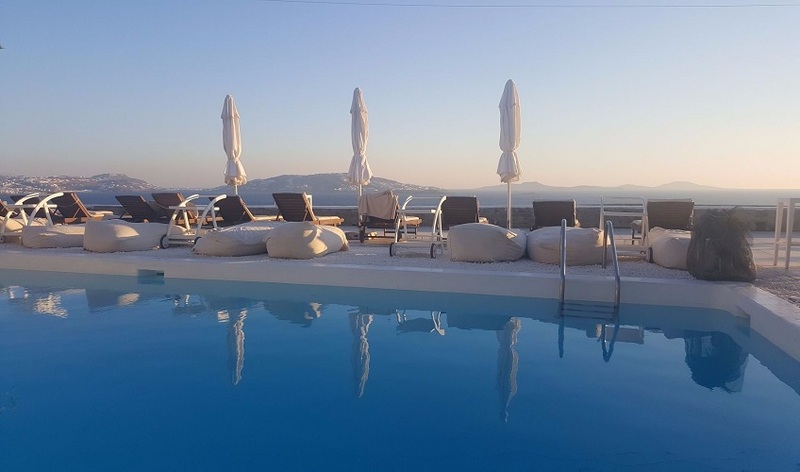 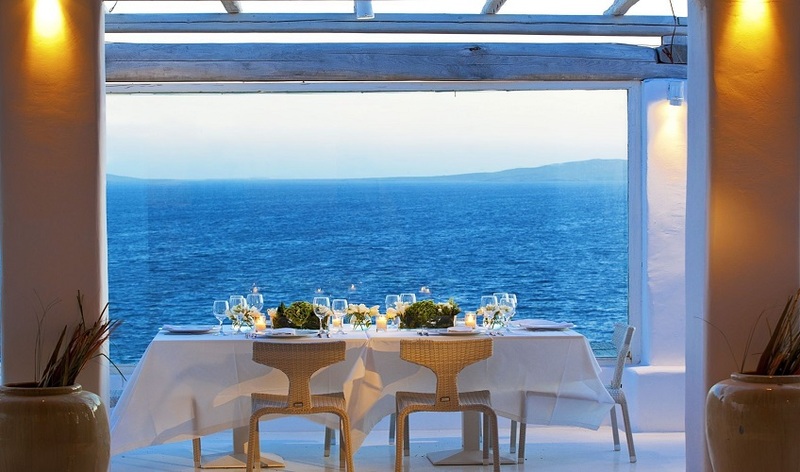 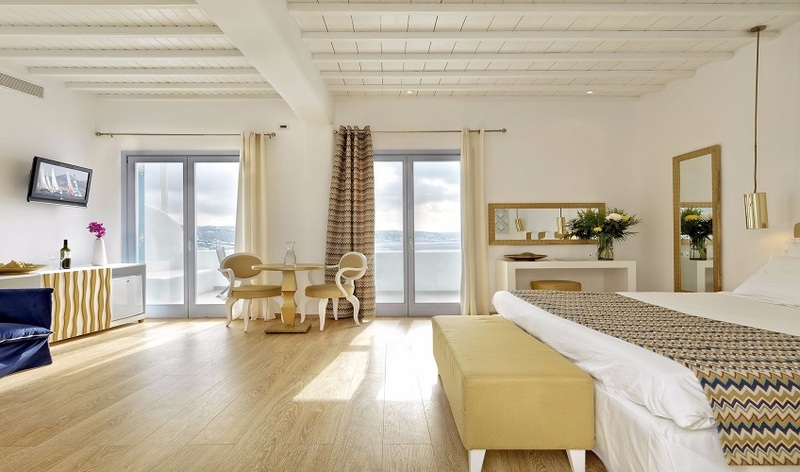 Boasting spectacular views over the Aegean Sea, the five-star Mykonian Mare Luxury Suites Hotel offers standard rooms and suites and a central swimming-pool overlooking the town of Mykonos, as well as Delos island. 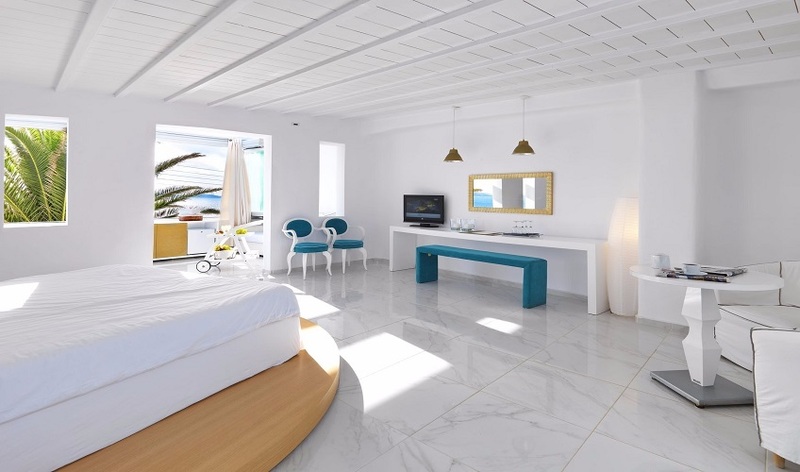 It is located 120 meters from the sandy beach of Agios Stefanos. 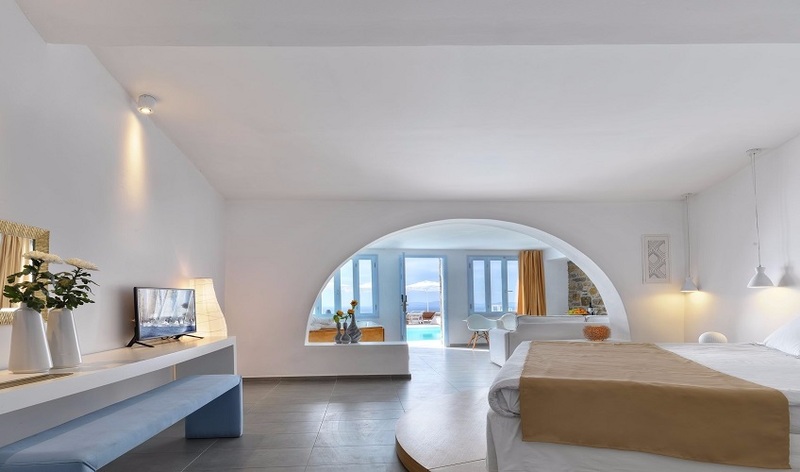 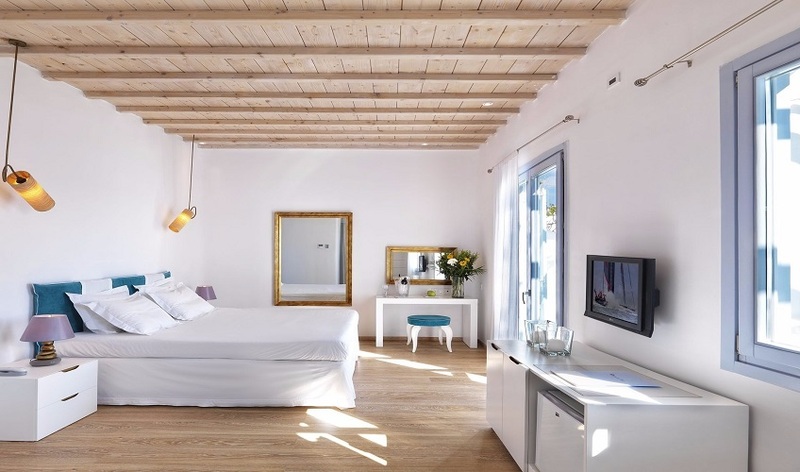 Mykonian Mare's spacious suites feature minimal traditional Cycladic design and are equipped with free Wi-Fi access, and satellite LCD TV. 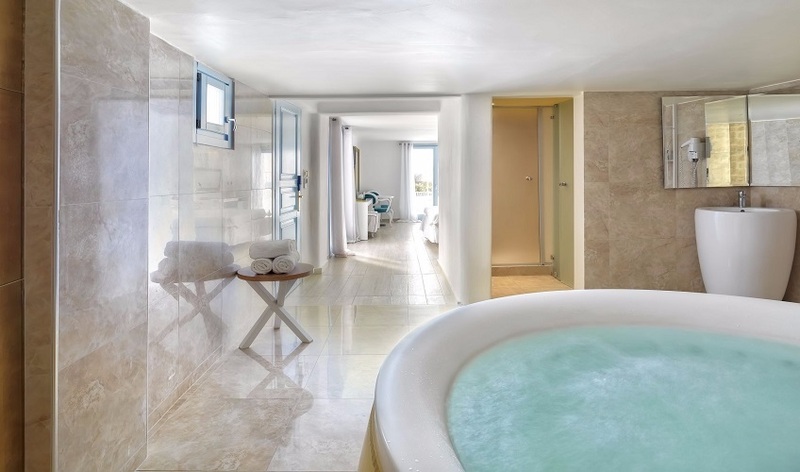 Some rooms include an outdoor/indoor Jacuzzi, chromotherapy and aromatherapy, while some suites offer a private pool or a plunge pool. 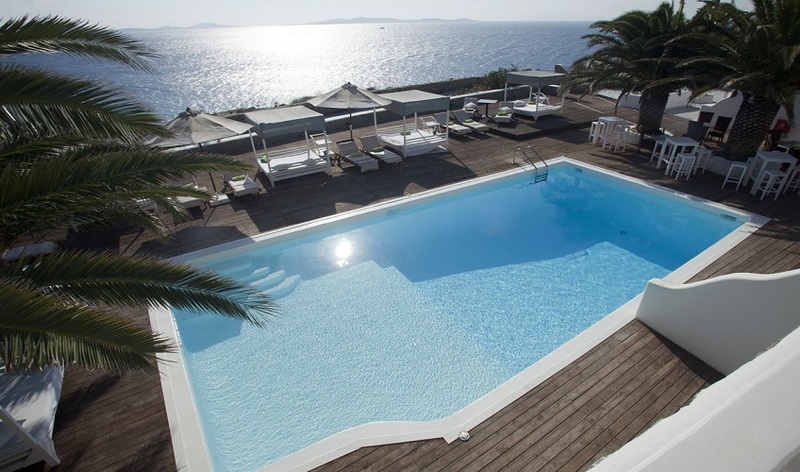 Mykonos Town and Mykonos Airport are conveniently located in 2,5km and 4,5km distance respectively.